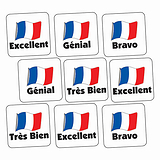 Each sticker is 25mm in diameter & features a mixture of car & motorbike images with assorted phrases. 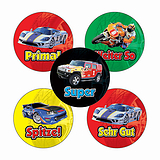 A great reward for children who are learning German & love vehicles. 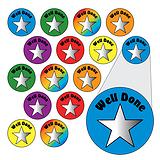 Stick them on children's jumpers, exercise books or on display work for maximum impact!